“You know Vampira, yes?” It was a beautiful, serene Saturday. 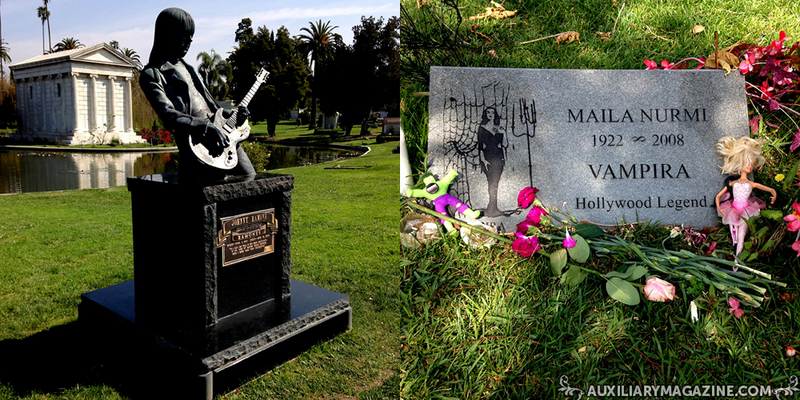 I left my hotel early to make the long walk to Hollywood Forever Cemetery. On my way there, a passing stranger gestured to me and said to their companion, “see, normal people are on their way to work right now!” I’m normal? Los Angeles, I love you. But in reality I was fooling no one. Clearly I was there to see Vampira’s final resting place. I mean, of course I was. 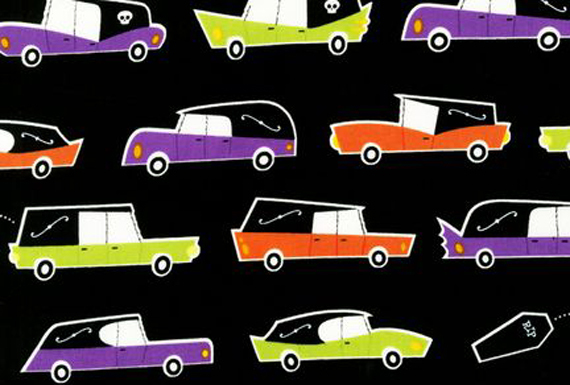 Admission to the cemetery is free, but picking up a map from the flower shop will cost you five dollars. You could probably pull up this info on your phone, but it’s a nice little souvenir. There is also a small selection of crummy postcards. The pleasant woman working there (who knows a Vampira fan when she sees one) was happy to tell me how to find her grave, as well as those of the cemetery’s other notable permanent residents: Johnny Ramone, Dee Dee Ramone, Charlie Chaplin, Peter Lorre, Cecil B. DeMille, and Jayne Mansfield. Vampira’s grave is small and unassuming. Her real name was Maila Nurmi and she is identified as a “Hollywood Legend”, a choice of words that is entirely appropriate. 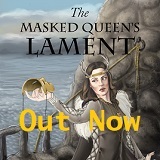 Her great sense of style and drama and morbid panache made her unforgettable. She is missed and irreplaceable. I appreciated the strange tokens of remembrance left by other fans. If you plan ahead and bring some newsprint and a charcoal stick, you can easily make a grave rubbing and hang it above your bed (something I should have done). To be clear, this is not a crumbling, horror movie inspiring, rusty-gates-and-vampire-bats kind of cemetery. While it has its history, its scenic appeal is more lush and modern. I say that in the absolute nicest possible way. 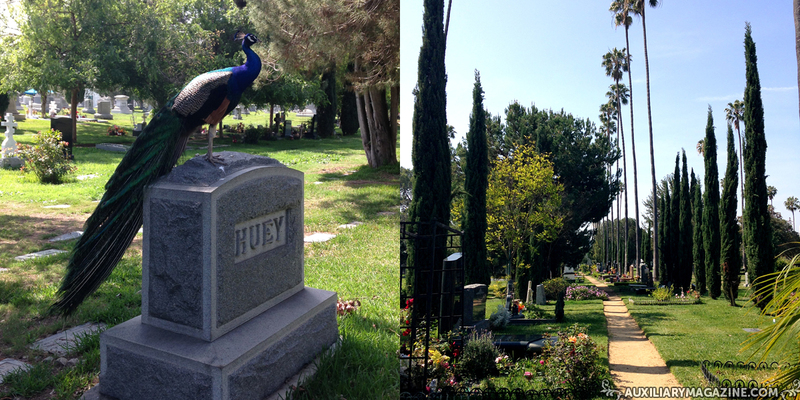 I do not feel that I am exaggerating to call Hollywood Forever Cemetery “paradise”. I really mean it. Scattered with palm trees and impressive flora, the grounds are absolutely stunning. Swans and turtles lazily do laps of the pond. Peacocks roam free, perching on gravestones from time to time. The chilly marble Cathedral Mausoleum is as peaceful and relaxing a place as I have ever visited. I texted my husband to tell him how much I was enjoying my visit and received the response, “if you see an open grave, DO NOT jump in.” I did see one and it was a tempting impulse. On more than one occasion, I turned to leave the cemetery, only to be drawn back. Just one more thing! Just a few more minutes on this bench! Even with the promise of brunch, I had trouble dragging myself away. With that in mind, I’d recommend bringing a book and a sandwich. Take time to bask in the sunshine, the awing calm, and be thankful that you’re still alive to appreciate the place from above ground. 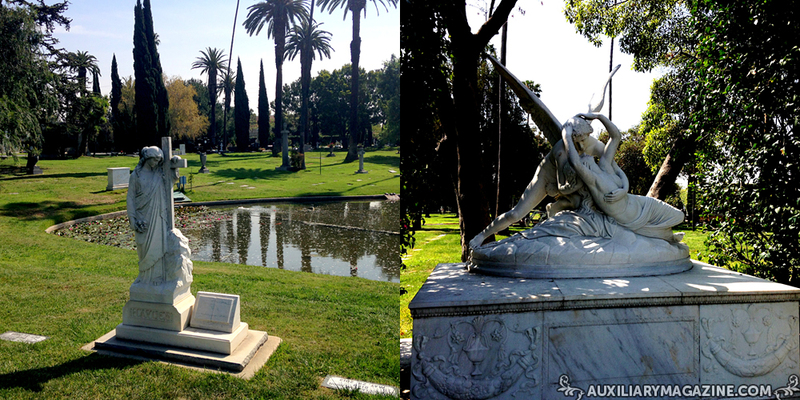 The Hollywood Forever Cemetery is located at 6000 Santa Monica Blvd. in Los Angeles, California. For more information, please visit www.hollywoodforever.com. 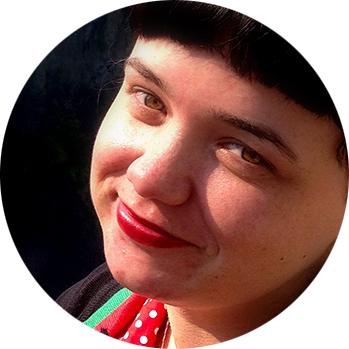 Liz Walker is a frequent contributor to Auxiliary, is known to paint silly things and write about stuff she gets much too excited about, likes thrift stores, Lance Henriksen, and (especially) Morrissey. Grave rubbings damage the grave. Please don’t tell readers to do that! Good tip! Best to check if it’s allowed or not at the cemetery before doing a rubbing. Thanks for the reply! Otherwise I loved this piece. I took a virtual trip after I read this. I’ll visit in real life when I can. Thank you for your comment, Autumn. I did not know that! I apologize. What is an Alternative Model? Auxiliary Magazine’s first cover model SharonTK shares her opinion in an editorial piece on alternative models. 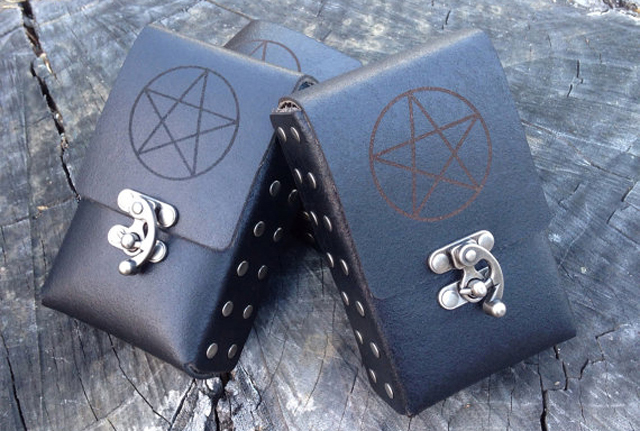 Our Item of the Week, the pentacle etched case by luxury leather accessory brand Contrived to Charm is the perfect gift.